The format for the indoor event is an 18m 600 round. 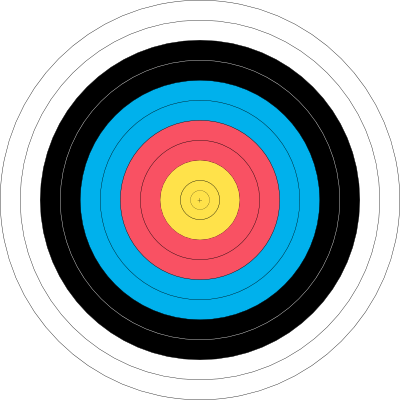 This is 60 arrows at a 40cm standard 4-color World Archery target. Parking is solely street parking. We will add some suggestions here for where to find good parking in that area. Car-pooling is recommended. TOURNAMENT FEE: $20.00 until March 31st, $25 on or after April 1st. Payments can be made online with a credit card or on-site with cash or check. Awards: Trophies for 1st Place (Compound / Recurve / Barebow-Traditional), and medals for 2nd and 3rd Place in each division, separated by gender. This even is limited to 20 archers total. So don’t dawdle and sign up late. Arrive early. We recommend coming when the doors open (noon). A double-line 600 round takes around 3 hours to complete from the first arrow.